Nuclear Stress testing is one way that physicians can diagnose coronary artery disease. Physicians often use Nuclear Stress Testing to evaluate patients with symptoms of chest pain. However, information about the wall motion of the heart can also be gathered from this test. During nuclear imaging, a small dose of a radioactive isotope is injected into the bloodstream. The radioisotope, or tracer, is carried by the blood to the heart muscle. Special cameras detect the energy released from the tracers and record information about the amount of blood flow that each wall of the heart is getting. Images are recorded at rest, and after exercise on a treadmill or stationary bicycle. If a patient is unable to exercise, a medication can be given to evaluate the heart arteries’ response to stress. The tracers used in nuclear imaging lose their radioactivity quickly and typically pass from the body within 24 hours. Learn more here. Echocardiography is a diagnostic tool physicians can use to evaluate the structures and functions of the heart. Information about heart wall motion, heart attack damage or scarring, ejection fraction, valve function, congenital (present at birth) heart defects, and pericardial disease (the membrane surrounding the heart) can all be evaluated by an echocardiogram. The echocardiogram uses ultrasound, or high-frequency sound waves, to create real-time, moving images of the heart. It is not painful, does not use radiation, and has few known risks. 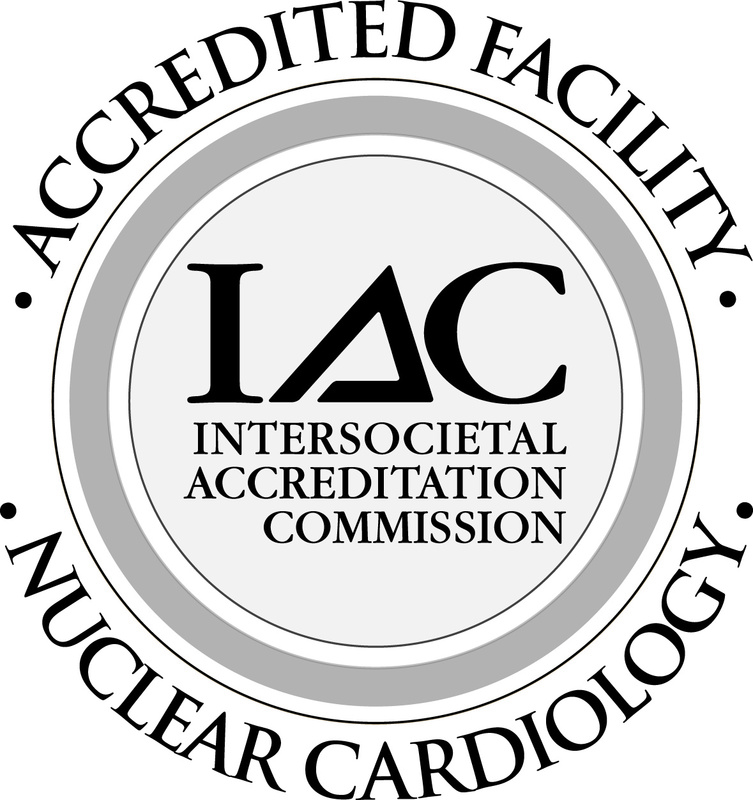 Coastal Cardiology has the only echocardiography facility in San Luis Obispo County which is certified by the Intersocietal Commission for the Accreditation of Echocardiography Laboratories. Echocardiography is a diagnostic tool that physicians use to evaluate the structures and functions of the heart (see Echocardiography). When combined with a stress test, it can be a powerful method to detect cardiac ischemia, that is, insufficient blood supply to the heart muscle. Physicians often use stress echocardiography to diagnose cardiac ischemia when a patient complains of chest pain. During the test, high-frequency sound waves (ultrasound) are used to create an image of the heart at rest. The patient then exercises on a treadmill or stationary bicycle. If a patient is unable to exercise, a medicine can be given which simulates exercise. After exercise, additional images are recorded and compared to the resting images. 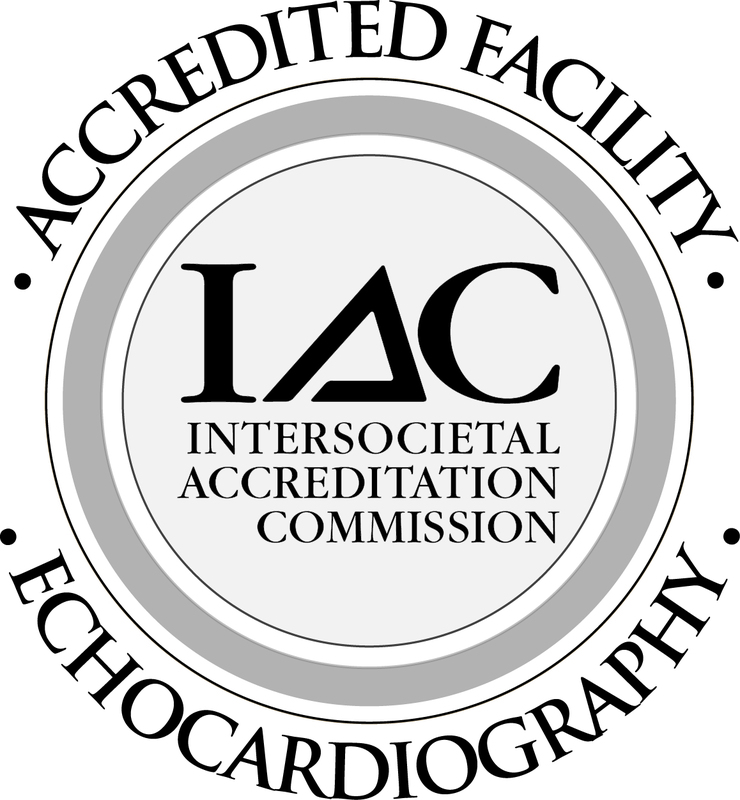 Coastal Cardiology has the only echocardiography facility in San Luis Obispo County certified by the Intersocietal Commission for the Accreditation of Echocardiography Laboratories. Event Monitors and 24-hour Ambulatory ECG Monitors are two similar tests that help physicians diagnose irregular heart rhythms. An Event Monitor records the heart’s electrical signal when a button on the device is pressed. The heart rhythms are then correlated with the patient’s symptoms. It is typically worn for 7 days. An Ambulatory ECG Monitor records the heart’s electrical signal continuously for 24 hours. A diary is used to record symptoms throughout the recording period, and the heart’s rhythm is correlated with the patient’s symptoms. Often times, a person who has no history of hypertension can be found to have an elevated blood pressure during a doctor’s visit. In some people, this is referred to as “white coat hypertension,” or, elevated blood pressure that only occurs in the doctor’s office. In others, the elevated blood pressure can be a warning of a more chronic problem that needs treatment. A 24-hour ambulatory blood pressure monitor is a valuable clinical tool our physicians can use to accurately diagnose true hypertension. It can also be used to assess the adequacy of a patient’s current medication regimen. This small device is worn around the arm and can be hidden under clothing. It monitors a patient’s blood pressure and heart rate every 30 minutes for 24 hours. A report is then generated and reviewed by your physician. Cardiac Catheterization and Angiography are techniques that can be used to diagnose many types of heart disease, but most commonly, it is used to diagnose the presence of coronary artery disease (CAD). Blockages or narrowings of the heart arteries can be seen by injecting a fluid through them that can be seen under x-ray (contrast). Contrast can also be used to fill the left ventricle (the main pumping chamber) to evaluate its function. Cardiac catheterization can also be used to diagnose certain types of valve disease, pulmonary hypertension, or congenital (present from birth) heart disease. An Angiogram is a test that is used to diagnose peripheral arterial disease (PAD), or blockage of the arteries in the body, such as in the legs, neck, or abdomen. A narrowing or blockage can be definitively seen by injecting into the artery a fluid (contrast) that can be seen under x-ray. Your physician can interpret these results and recommend whether medical, surgical, or percutaneous (angioplasty) treatment is the best for you. Patients who have had pacemakers or internal cardiac defibrillators (ICDs) need routine check-ups to optimize the function of the devices, and to monitor the remaining battery life. We can provide comprehensive care for most brands and models of pacemakers and ICDs.